Rooted in faith and tradition, the songs of Cantemos al Amor de los Amores transcend time and borders, featuring Marian classics, Eucharistic songs and more. Cantemos al Amor de los Amores (Let us sing to the love of all loves) collects 12 of the most popular devotional songs written in Spanish. Drawn from Spain and Latin America, these "songs of our faith and tradition" make a powerful invitation: entrega total a Dios—total surrender to God. The collection features Marian classics, eucharistic songs and more—songs treasured by generations of Hispanic Catholics. Especially appropriate as processionals on holy days and patronal feasts like Our Lady of Guadalupe (Mexico), Our Lady of Luján (Argentina), Our Lady of Mercy (Peru), etc., these songs convey a strong sense of the sacred. Each brings its own colorful history of use in popular piety. Produced by David Silva, the beautifully recorded disc features authentic Latin instruments and outstanding performances by professional musicians. Hearing these beloved texts and melodies, listeners will smile with nostalgia—and a renewed appreciation for the divine mysteries. An excellent and faith-building gift, the disc is a great way to introduce these familiar works to the younger generation. 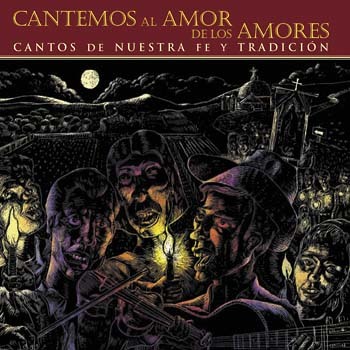 Rooted in faith and tradition, the songs of Cantemos al Amor de los Amores transcend time and borders. They deserve a place in the home—and heart—of every Spanish-speaking Catholic.